This work was commissioned as a celebration of the life and work of Murray Slater, the inspirational musical director of Derbyshire City & County Youth Wind Band, who sadly died in 2000. Murray was greatly loved and respected in the wind and brass band world, was a fine trumpeter and teacher, and was universally known as “Man of Music”. Celebration attempts to capture facets of Murray’s personality. The Rondo’s theme has a witty rhythmic twist to it, the Valse Triste features a solo trumpet, and the concluding March contrasts a Prokofievian theme with a slower “big tune” that attempts to match the stature of the man. 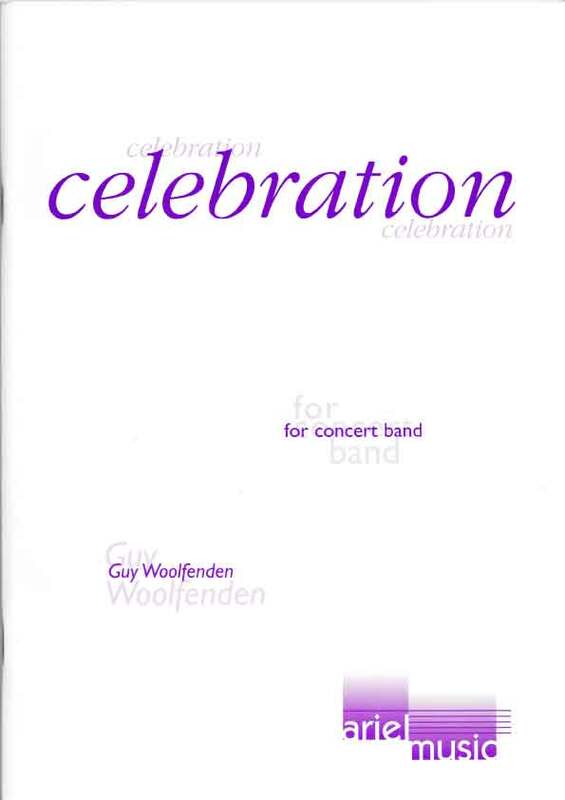 The first performance took place on 12th July 2002 in Chesterfield with the Derbyshire City & County Youth Wind Bands, conducted by the composer.